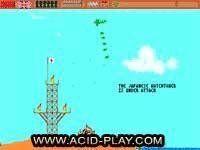 Netstorm - Islands At War is one of the best freeware games I have played in quite a while. 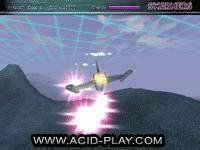 Netstorm was a game made in the late nineties, developed by Activision. 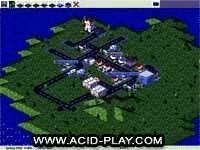 It has a style much like that of Command and Conquer, Starcraft etc. A birds eye view construction of your own community battling other communities. 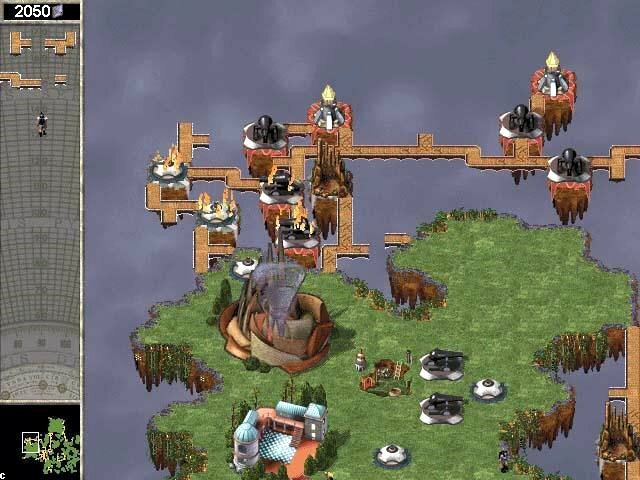 Netstorm takes place high up above the clouds in the sky where there are hundreds of small islands floating around. Your community is headed by a Priest. The Priest can construct different buildings and learn skills to expand his knowledge. Each enemy and allie has their own Priest which is the heart of the community. The game has two modes of play, campaign (single player) mode and multiplayer (over the internet) mode. The point of the game is to capture the enemies Priest and sacrifice him in your alter to gain more knowledge and power. In campaign mode once you have captured the enemies priest you progress to a new level, in multiplayer mode you simply receive a higher rank. 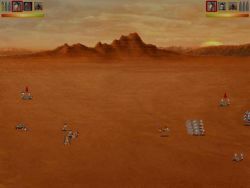 The graphics of the game are impressive for a game from the nineties and it can be played in full screen or windowed mode. The sounds are decent and the game play is fun and quite addictive. I recommend you give it a go! I've had Netstorm for about 7 years, and it's a dangerously addictive game. The concept of it is unlike any other game I've played, although it could be likened to Chess + Tetris. The main feature of the strategy element of Netstorm is the fact that, once placed, your units cannot be moved or adjusted, meaning that the initial decisions on their positioning influence how effective they are. 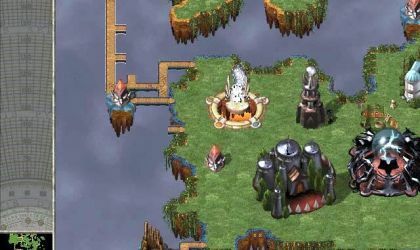 Another innovitive feature of netstorm is the bridge system: In order to be able to place units away from your island, and to allow ground units, such as the priest, to access the rest of the map, you must build bridges. Clever placement of bridges can stop your opponent from being able to build in a certain area, and will allow you to manouver your priest around the map in order to create outposts. The main downpoint of Netstorm in comparison to newer games is the Graphics - they are 2d and not particularly brilliant, but they do the job well and all fit in with the theme of Netstorm. The game really shines online, although it has a steep learning curve, so be prepared to be beaten quite a few times before you get used to it! New way of RTS game, definitely recommended! 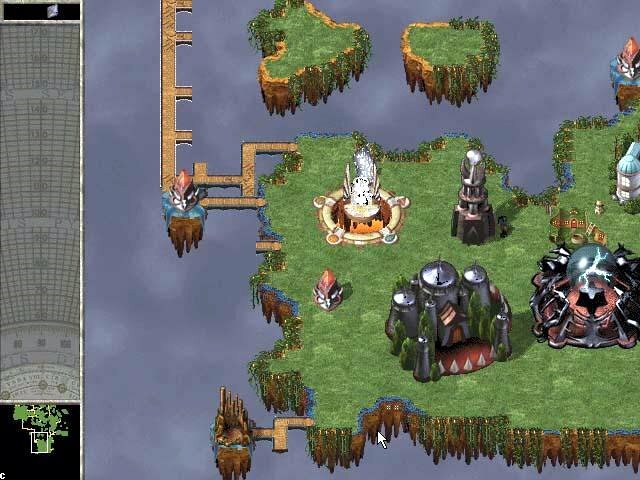 Unlike C&C, AOE, AOK or StarCraft, the units in NetStorm cannot move, therefore the positioning is very important. And bridging too, this reminds me of old dearing Tetris in a new way. Very original and fresh way to play RTS games. You are still rushing as usual but with new thinking. Graphics and sounds are excellent. Especially the sacrificing process. I definitely recommend this game to any strategy gamer, you will not regret it. This is a great, highly adddictive game that will bring you lots of fun, exciting times for days at least. The blowing wind and the music are good. I didn't like the VO. Graphics are very detailed. I espically liked the buildings. Gameplay was good with the inivative bridge sytem and simple interface. It has a nice tutorial to teach you some basics. The reason I gave this game an Average rating was because the multiplayer was only online and it won't work with my online computer. So I figured that I would play the campagin but the first two were easy and the third one chucked me hard into the ground with near immpossible difficulty. It ain't bad, really; graphics are just a notch below those of Starcraft (i.e. bearable), and it requires a good bit of strategy. I'd never expected to find something playable online that has such low system requirements, either. Gameplay itself is definitely different; most of your units are various pieces of artillery, rather than actual footsoldiers or whatnot. Requires a good deal of foresight and planning to pull of effectively. It isn't exactly as exciting as say, Starcraft, but it's got it's perks. Give it a go, dudes. First of all, if you are starting to get into strategy games and you're looking for a freeware battle/strategy game, this is a must try. When you first try it, do the tutorials. The game isn't that simple, but it's not too complicated either. It gets quite addicting, plus it has great graphics and sound effects. It doesn't matter if this game is several years old, I found it to be a lot of fun (and it will work on older machines). I encourage anyone to try it. I have never heard of this game before but when I saw some screenshots I was impressed and downloaded it immediately. I can say that the gameplay is good and it's not difficult to get used to it and the sound is very nice too. Last words: this game is great and for those who love strategy games it's a must for download.